We have a very simple philosophy at Aln. Technology should help a business not hinder it. Through the help, experience and knowledge of our technicians we provide excellent support to you, at the forefront of technology. We partner with only the best providers; if we can’t help we know who can. Aln delivers enterprise computing solutions. Initially developing electronic trading systems, our customers now process around £200m transactions annually using software developed and supported by us. We are always looking for new methods and technologies that accommodate and benefit our customers, we believe technology should only be used to benefit, not hinder your business. 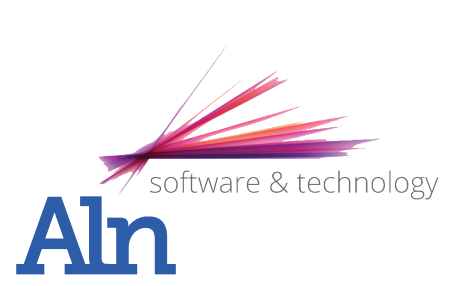 Aln has evolved to provide bespoke solutions for your software and IT services. Using modern development methodologies, our technical implementation team, support engineers and consultants work very closely with clients to understand the business requirements, design and implement systems tailored to your business needs. We don't just provide new IT systems, Aln can solve your IT integration problems and provide support for your current IT solutions, as well as Building, designing and supporting complex websites. Book a free consultation; take a look at our products and solutions pages or contact Aln to see how we can help you today. Aln is committed to working towards combating all forms of discrimination in regard to the protected characteristics contained within the Equality Act. We recognise that our ability to meet the needs of our clients is improved by having a diverse workforce which reflects the wider community and are firmly committed to developing an inclusive working environment, providing equality of opportunity and parity of treatment for all our employees, subcontractors, clients, partners and stakeholders. In 1975 four wholesale pharmaceutical companies put a company together to run a single computer system to process all of their invoicing and pricing. They could not afford one each, but their national competitors had got into this technology. The company was called Gleneden Systems Ltd.
Gleneden commissioned a new stock control and invoicing system in 1980 called the Phoenix system, which was able to run on smaller more affordable computers in each of the wholesale depots. The Phoenix system grew and attracted another 14 firms who were also in wholesale pharmaceuticals. In 1986 Rombus was formed to take over the running of the Gleneden user base, and started to develop the Phoenix system into what you see today. As Rombus became more commercial it started to develop and widen the scope of it's customers and offer support to a broader range of companies all over the country. From the beginning, keeping up with technology was always a priority for Rombus. In 2013 Aln Technology bought out the assets and IP of Rombus Computers. The Phoenix system and all other Rombus products are now licensed and developed by Aln and we continue to develop the product range using the latest techniques. 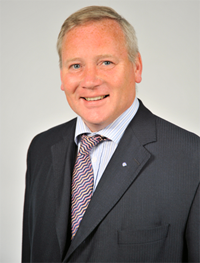 Martin has over 25 years experience working on high level IT projects. He has a technical background and is an expert in complex networking, VPN and network security. Martin has done a lot of work over the years with the NHS networks where patient confidentiality is of paramount importance.